Double quantity mix is perfect for parents making pumpkin bread for the run or for a holiday party. This mix is packaged in a Ziploc bag with cooking instructions affixed to the bag. Proceeds from fundraisers like this are what made it possible for PTO to furnish the students with updated seating in the new student dining area. Saturday, November 5, 2016. 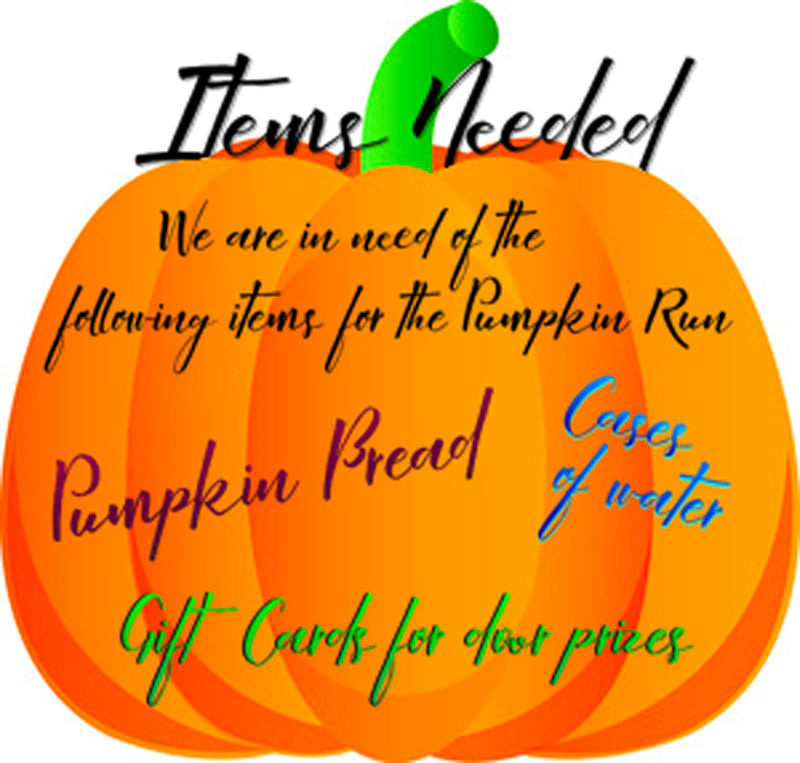 We are asking each Sacred Heart family to bake 2 loaves of our famous (and delicious) pumpkin bread to send in for the race on Saturday. SHCS has its own Pumpkin Bread recipe, so we came up with this easy way to help you make your loaves even with your hectic schedules. It can be time-consuming and difficult to go out and buy all the ingredients to make Pumpkin Bread, so we say… just purchase it from us! We will do all the measuring, all you need to do is add the wet ingredients and bake! How easy is that? Each bag will have enough dry ingredients to make two loaves. Just download and fill out the order form and send it together with your payment marked “Pumpkin Bread” by Tuesday, October 25th. We will have your order ready for baking by Friday, October 28th. This should give you plenty of time to get those loaves baked and turned into the front office by Thursday, November 3rd. We will also be selling our own Sacred Heart Pumpkin Bread Recipe Mix in festive Mason Jars. What a great gift to give during the Thanksgiving Holiday. They sell for $6 for one jar or $10 for two jars. This little fundraiser has raised hundreds of dollars for our school. Let’s keep this tradition going. Thank you for supporting your PTO. We look forward to your order and HAPPY BAKING!